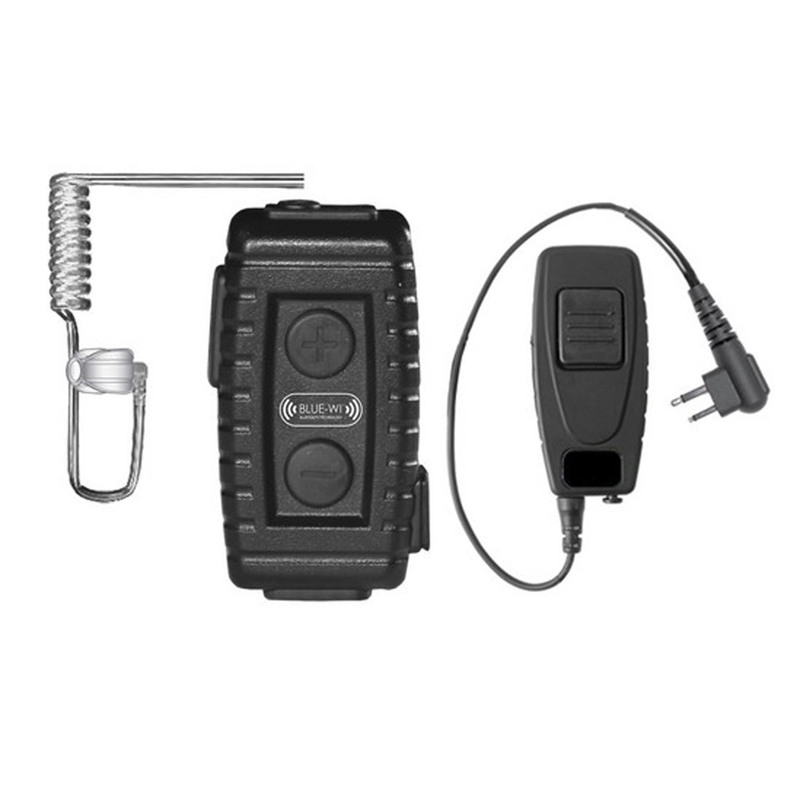 The Nighthawk Tactical Bluetooth Lapel Mic and BW-NT5003 Motorola Radio Adapter from Blue-Wi is a Bluetooth 3.0 communications system that includes the Nighthawk Bluetooth lapel mic, a Fox Surveillance listen-only earpiece, a Bluetooth radio adapter for Motorola radios, and a USB charger. It can be used for taking calls from your Bluetooth compatible device as well as for integration into a Motorola radio system. The Nighthawk has an internal rechargeable battery that can provide up to 12 hours of talk time and up to 150 hours of standby. It can be paired with multiple Bluetooth devices and is compatible with Blue-Wi's recording app, allowing you to record your calls to your iOS or Android device. The included listen-only earpiece allows you to use the Nighthawk without losing situational awareness.